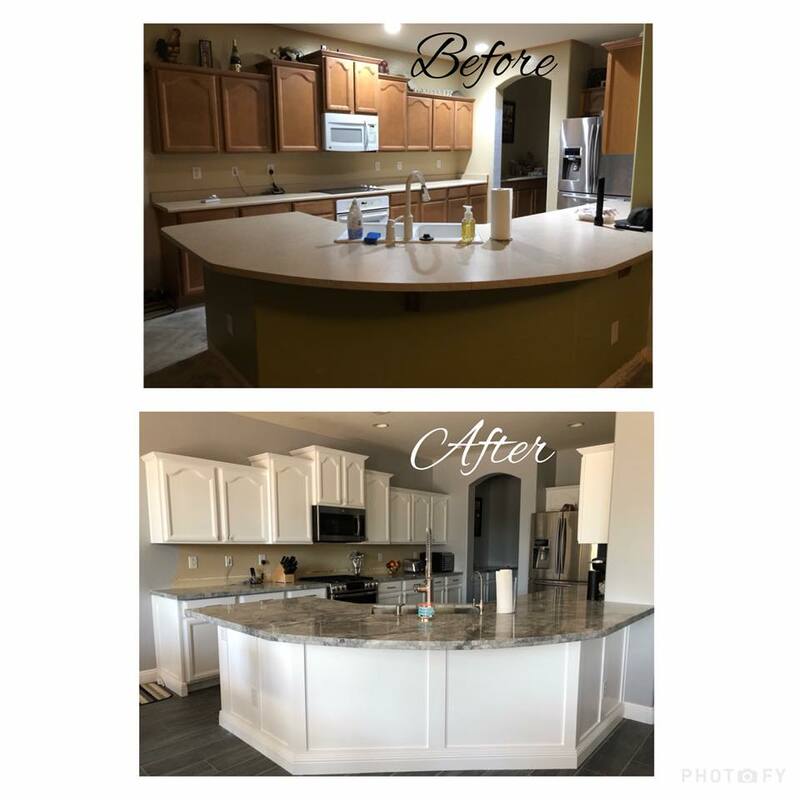 As the Homes in our wonderful city begin to age and the styles begin to change, we at Kustomcabs LLC find ourselves doing an enormous amount of kitchen and bath remodels. Not every budget allows for new cabinetry, so the alternative is to make your out dated ones look like new ones. 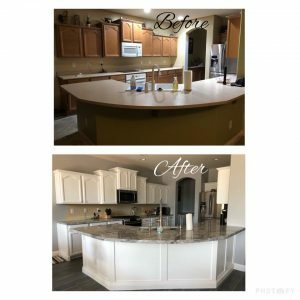 With a little custom work around the island panels and an amazing Lacquer paint job, along with some new granite tops and updated appliances, Craig and Angela’s kitchen took on a whole new look without breaking their bank. Kustomcabs LLC is Licensed, Bonded, and Insured for your protection. 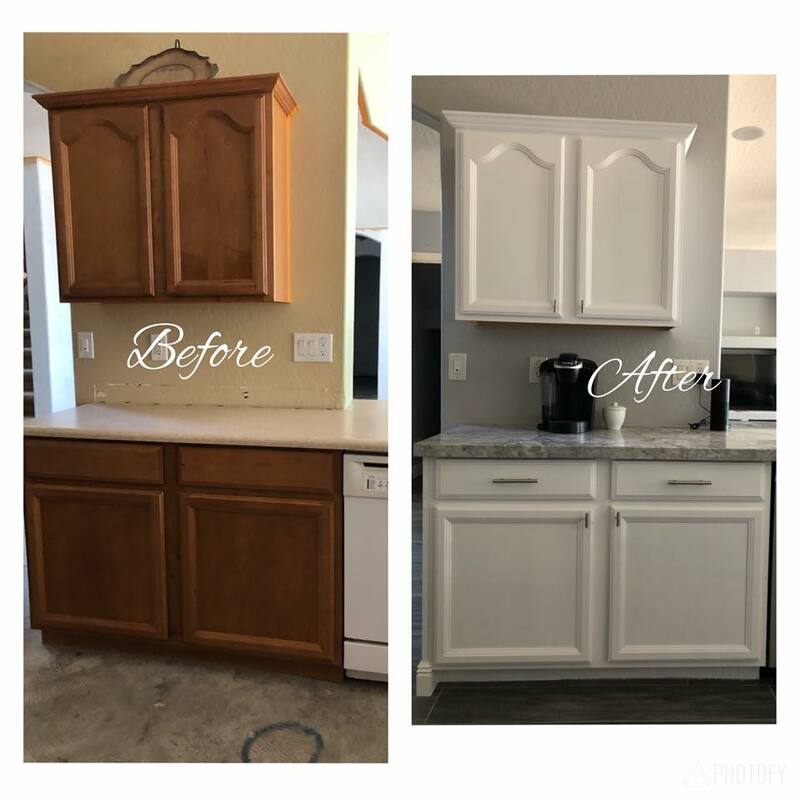 We are a full service custom cabinet company located here in Chandler, and we can’t wait to help you with your next project.